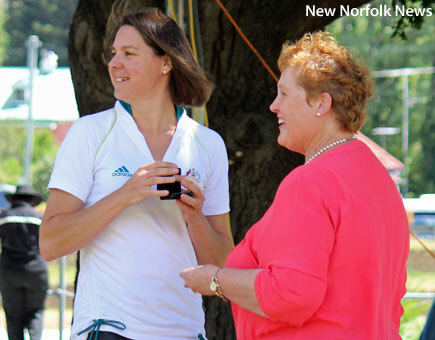 This is the text of the address given by Australia Day Ambassador Dana Faletic at New Norfolk on Thursday. WELCOME to everyone who has come to New Norfolk today to celebrate being Australian and being part of the wonderful state and country we live in. Before I begin I would like to acknowledge the traditional owners of this land and pay my respect to elders past and present. Thank you to the Derwent Valley Council for inviting me to spend Australia Day with you. 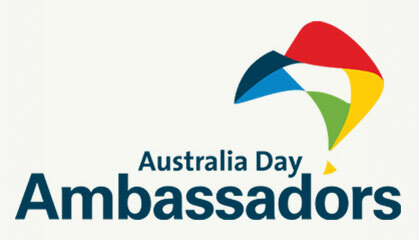 I am one of around 370 Ambassadors who are adding to the Australia Day celebrations across Australia today, and one of 20 Tasmanian Ambassadors. I feel very honoured to have been chosen to come to New Norfolk today. Through giving their time, I know many people have contributed much to the town and to the region, and this is an opportunity for me to thank those people today. I am also honoured to be here for the simple reason that I grew up in New Norfolk. I went to school here, attending Fairview Primary and New Norfolk High School. I’ve spent more time living here than anywhere else. And now, my children get to enjoy New Norfolk and the surrounds as we regularly visit my parents who still live in the area. The Salmon Ponds, Mt Field National Park, Tynwald Park, the river, the pool! All places I’ve enjoyed and continue to enjoy with my children. I also started my rowing career here, at the New Norfolk Rowing Club, representing both the Club and New Norfolk High School at local and state regattas in my first few years of rowing. I spent a lot of time rowing on the river here and running on the footpaths – even having someone yell out to me once “Go Cathy Freeman!” in my younger years which I took as quite a compliment. I never thought, growing up in New Norfolk, that I could do so much in sport. But over time this little pocket of Tasmania has earnt a reputation for producing some pretty good athletes – Kathy Foster may have paved the way with her wonderful career in basketball. Kathy had an influence on me in the classroom, as well as out of it – she was a great maths teacher, and a good motivator. I will never forget her expressing her disappointment to my best friend and I in high school when we deliberately crossed the finish line together in the Grade 10 school cross country rather than battle it out to the end! I think I became a much better racer after that. 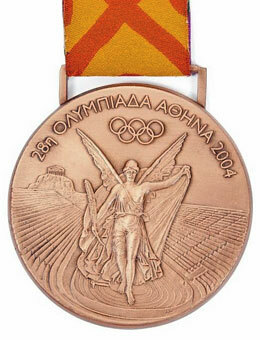 the Athens Olympics in 2004. I have been lucky enough to have some great coaches and to row with some really talented rowers, and somehow I managed to win national championships, become a world champion and an Olympic bronze medallist - a journey that has taught me a lot about myself and others, and led me to start my own journey of volunteering and giving back to the community. 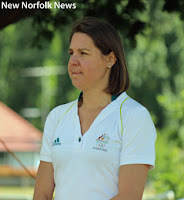 Australia Day and feeling patriotic reminds me of the occasions I have represented Australia as a rower. It reminds me of those years of training, of the pride I have felt representing my country, of wearing green and gold, and competing with team mates that, to this day, I care about and love. But every time I represented Australia, I represented Tasmania just as much. One of my teammates for many years, another Tasmanian Kerry Hore, and I, got in trouble a number of times for being too Tasmanian-centric, cheering for other Tasmanians at international regattas by calling out “Go Tasmania!” instead of “Go Australia”, and celebrating uniquely Tasmanian institutions like Chickenfeed. Long may we remember it. But I think that is part of what makes us Australian. Wanting to be known as Australian, and for us, Tasmanian. Because we are lucky to live in such a wonderful country, and all of us here today know Tasmania is by far the best part of Australia. Today is an opportunity for us to think about what it means to be Australian. For what it means to each of us to be Australian. Because we come from many backgrounds, many cultures and many faiths, and we may all interpret what it means to be Australian a bit differently. And that’s one of the beauties about being Australian. Our democracy that allows us the freedom to have those differences. Our Constitution, which protects all people in Australia, regardless of their gender, race or background. It is easy to understate our democracy as for most of us, it has always been there, but this is not the case for many parts of the world. Today we can celebrate freedom of speech, of thoughts and feelings. In many countries in the world my speech would have been edited and changed for me. Democracy and the freedom it provides allow us to pursue dreams, like rowing for me, and a chance for a peaceful, productive and happy life. In so many places in the world, groups of people are today denied the freedom to live in peace. We forget so easily… how lucky we are, to live where people can’t just pop down to the shop and buy military assault rifles. Where we can feel safe walking down the street. Where support can be found, if you just ask. We have a huge capacity to help others to achieve their dreams and help others when they need it. Australia Day is an opportunity to acknowledge and celebrate the wonderful achievements by people who are giving their time to help individuals, and to help grow communities. And so today we honour our local citizens for what they have contributed to all of us over the year, both locally across Tasmania and Australia. Many of those who are honoured are volunteers. In times of natural disasters like fire, flood or drought, and also through charities, volunteering, welfare support and welcoming others from overseas. They might deliver meals on wheels, or help chop wood for families struggling to heat their homes. They might be part of the local volunteer fire brigade, or with the SES and are always ready to help out in a crisis. Or they may be part of a local music band that regularly plays at community events, and makes our lives richer for it. Many people volunteer their time to run sporting clubs, coach sporting teams, or fundraise for individuals or groups. We thank you. And across Australia we are welcoming and celebrating those from around the world into our national family, as my father was welcomed some 40 years ago when he came to Australia, and when he was given Australian citizenship. Australia Day is also an opportunity to think about and thank those working overseas so we can be safe and better looked after. To those in the Defence Forces, who will celebrate Australia Day in another country. And to everyone else who is working today, because not everyone gets a holiday on Australia day. To those working in local cafes, businesses, hospitals, the police and finally to the farmers, who never get a day off. Julie Triffett after giving her speech. We also celebrate those in our communities who have been honoured in the Australian of the Year Awards and the Order of Australia Awards. Each year our nation celebrates the achievement of Australians and the contribution they make to our country and way of life. To the Derwent Valley Council, who have organised today’s event… thank you. And to everyone else, thank yourselves for coming along and taking part in celebrating being Australian, and our wonderful state and country. Have a wonderful day!